Are you an investor who is looking to make money on the digital currency scene? Selecting a good coin in its nascent stage is hard. With dozens of coins emerging every day that claim to be the next Bitcoin rival, it is easy to find yourself confused and ending up making a bad investment. Even worse, unless properly researched, the ICOs can turn out to be frauds, with the developers vanishing with your money. 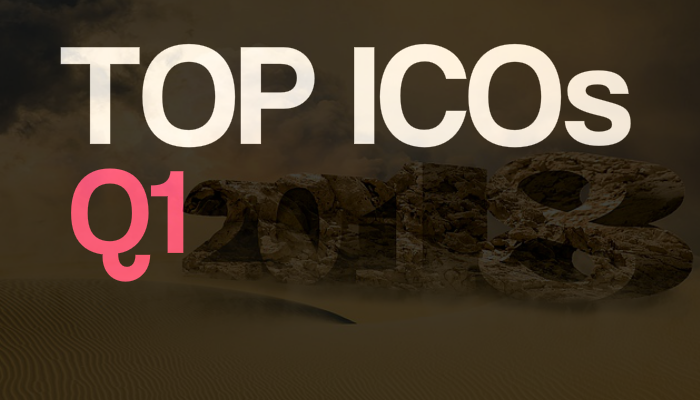 So, we have selected these top ICOs for you. Your worries are over. We have scoured the internet and selected the best crypto coins and top ICOs that are bound to become a major scene in the cryptocurrency scene. Best of all, we have done our job and verified that these are not scams. CoinMetro is a startup by intelligent and smart college students, who already have made waves with their FXPIG organization, aim to bring total simplicity to the process of acquiring cryptocurrency for both institutional and individual investors. The platform is a professional trading one and a fully prepared exchange for cryptocurrency trading. The ICO for XCM starts in a month, selling at EUR 0.11 for one XCM. A platform that combines the power of blockchain and autonomous transportation services, Decentralized Autonomous Vehicles connects people with companies and individuals who give autonomous transportation services like taxis and drone deliveries. Simply order a taxi in fashion of Uber or get a package delivered through a drone, Amazon style. The ICO’s date is not yet announced, so keep visiting their site for updates. Energy powering your home goes through unnecessary points and diversions, adding taxes and making it expensive. By using blockchain tech, Restart Energy intends on giving your homes and offices energy without intermediaries and saving you lengthy bills. If you have a renewable energy setup like a solar system, you can even sell your excess power to other consumers-directly! The company offers advanced consumption monitoring software and smart contracts so you get your money without the hassle of calling your consumers to pay up. Get your MWAT token now in its presale stage. Half of the coins are already bought out! real and virtual worlds worldwide creating augmented reality layer. It links users with interactive experience with augmented, virtual and mixed reality multimedia content in real world locations. It allows you to build virtual projects anywhere in the world. You can buy, sell and rent out virtual spaces. Smart contract on blockchain, guarantees protection of copyright and property rights. The ICO ends in 3 days. Get your digital land now! Small-scale service industry meets the blockchain power. Setcoin is a project of Inserviss that connects people such as barbers, masseuse, dentists, doctors, lawyers and many more, directly with customers. Sellers can make custom orders for their clients and set up time. Individual ratings and feedbacks grade your performance and clients can opt to connect with you. Presale starts on 1 February 2018 with 5 SET being sold for 1 USD. Every other coin on the market is designed to cut the middleman, to connect buyers with sellers. In all this, the B2B market has been completely ignored. UTEMIS intends to rectify that. By treating the whole of Latin America as one unit, UTEMIS gives the same opportunities for companies to grow as the Chinese had. Services like Smart Contracts and Escrow account combined with the speed and reliability of blockchain is a sure winner in our views. ICO of UTEMIS coin starts on 25 January 2018. Health care providers and suppliers always do not work on the same frequency, creating hurdles in getting services and medicine on time to consumers. This creates wastes in time and lack of visibility, eventually leading to trust issues. Synthium counters all this by making the process simple and transparent. SHP, the Syntheium token is already in its ICO stage. The offering ends on 28 February 2018. It is available at a rate of 0.76 USD. A b2c platform that connects fintech organizations with potential professional employees, the portal is already a strong force and a power to reckon with in its field. A staffing platform that is decentralized, it removes the middle man and cuts down on the commission, making it efficient to hire people this way. Super charged with smart contracts, the site does not even need to meddle in affairs of the employees and employers as the payment and job delivery system is fully automated. The ICO starts in February 2018 and the presale is in progress right now with nearly 300,000 coins already sold. A platform to end all platforms, Valorem is a platform for multi-party transactions across multiple industries. Built on the Ethereum ERC 20 protocol, it is a system for everyone to share ideas, products, services and be a part of an ecosystem that can truly help develop and preserve their personal wealth. Valorem even goes as far as to claim itself as the next frontier of currency exchange. ICO launches in less than a week at a rate of 1 ETH = 1000 VLR. P2p Solutions Foundation Presents the P2ps Token ICO. Jameel Shariff, CEO P2PSF, was quoted in LDJ Capital Founder & Chairman David Drake’s article on Ethereum hard fork. The team is made up of industry experts with many years of experience and good track record of achievements. We think this is one of the top ICOs and assets you need to get in this 2018. Get it on the P2PSF Website. There you have it, our take on the biggest ICOs in the first quarter of 2018. Which will be the next Bitcoin killer? We cannot predict the future, but we can tell you this: More than one of these will dominate the cryptocurrency scene. Take your pick. Buy these other Tokens if you want to build a good portfolio: Don’t invest more than you can afford to lose, be wise! P2ps Solutions Foundation Initial Coin Offering Welcomes More Crypto Heavy Weights Into Advisory Board.